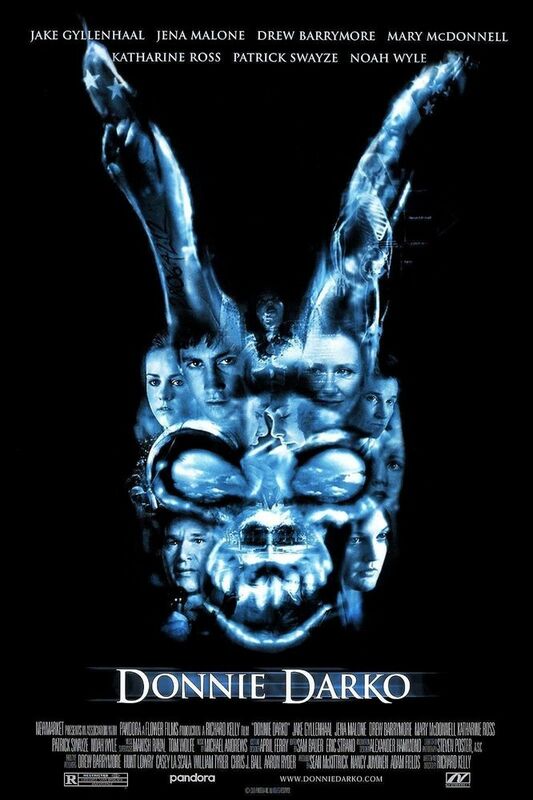 On October 2, 1988 in the town of Middlesex, Virginia, troubled teenager Donnie Darko sleepwalks out his house and is woken by a figure in a monstrous rabbit costume. The figure introduces himself as "Frank" and tells Donnie the precise time the world will end, in just over 28 days. Donnie returns home to discover that a jet engine crashed into his bedroom, His sister Elizabeth tells him that the FAA investigators do not know its origin. Read more on Wikipedia.